Tagines, in Moroccan cuisine, are slow cooked stews braised at low temperatures. This recipe features lamb but beef would be another option. The key ingredient in this dish is a spice mix, Ras El Hanout, which contributes to the sweet spicy flavours. Ras El Hanout can be found at some specialty food shops but is easy to put together from your own spice cupboard. The flavours in this dish would work well paired with a ripe new world Shiraz which displays aromas of dark fruit, pepper and some savoury notes. 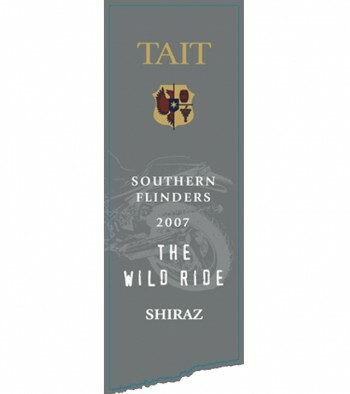 An excellent choice would be Tait ‘The Wild Ride’ Shiraz 2007 from the Barossa Valley. Place the whole spices in a dry skillet and roast over medium heat until fragrant. Once toasted, place in a spice mill and grind until very fine . Add to the remaining spices. (I use an inexpensive coffee grinder which I only use for spices). This will make more than you need for the Tagine. Store in an airtight container. Add a half teaspoon to rice and couscous or rub on chicken or beef before grilling. In a large Dutch oven heat the olive oil over medium high heat, add the cubed lamb, browning on all sides. Depending on the size of your Dutch oven or pot, you may need to do this in batches. Once browned, with a slotted spoon, remove the lamb to a bowl. To the same pot add the chopped onions and cook until starting to soften. Add the chopped fennel and saute 2 more minutes then add the garlic and ginger. Saute another minute. Add the Ras El Hanout, saffron and diced tomatoes. Return the browned lamb to the pot and then add enough chicken stock to cover, about 1 1/2 to 2 cups. Bring to a simmer and cover. Continue to cook over low heat until the lamb is very tender, about 1 1/2 hour. Stir in the apricots, prunes and orange peel and continue to cook uncovered another 30 minutes. At this point, the liquid should have reduced and thickened slightly. Add the honey and season with salt and pepper to taste. Serve the lamb Tagine over couscous, topping each serving with chopped parsley and toasted almonds.